I joined a paintchat community or something today. It's fun to draw with other people. 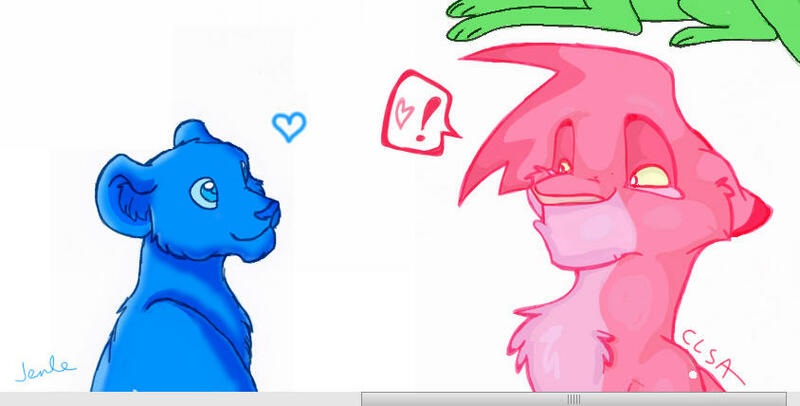 I drew that blue lion to complement the pink one. Heehee.